The body of a tiger is built to help them to survive. They are well known for blending into their surroundings, being fast, and being amazing hunters. The body is very muscular and they have a great deal of power behind them. They have large paws with sharp claws and large heads. The whiskers are long and appear on both sides of the face. They typically are going to be longer on the males than on the females. The colors of the tiger are in place to help them blend into their surroundings with ease. They can have a variety of colors including different shades of brown or orange. They also have areas of white and black that help them to be very distinct. The pattern on any tiger is unique which is part of how they can be identified as individuals. A tiger actually has two coats of on them. They have guard hair that is long and offers them protection from the elements as well as camouflage. The under fur offers them insulation so that they are able to stay warm enough. They have small ears that are round and they do have good hearing. Size significantly varies for tigers depending on location and the species. They range from about 100 pounds to over 670 pounds. The males tend to be heavier and taller than the females. Some of the tigers can be close to 12 feet in length. They have very long tails which can account for over 3 feet of that body length. They only have 30 teeth which is interesting as most carnivores have 42. They back teeth allow them to tear large chunks from their prey. They often swallow that whole instead of taking the time to chew their food. Their digestive system is designed to break down the food. They will gorge themselves when large quantities of food are readily available to them. There is a gap between their back teeth and that allows them to get deep into the neck of their prey. Then they use their canine teeth to hold it in place until it dies. They have small incisors at the front of the mouth that they use to remove meat from bones and feathers from their prey. The tongue of a tiger has projections that face towards the throat called papillae. They make the tough rough and that helps them to remove fur and feathers from their prey before they consume it. The back legs of a tiger are longer than those in the front. This is what makes it possible for them to leap up to 32 ½ feet! They have ligaments in the feet that reduce the impact when they run, leap, or pounce. They also have pads on the feet that make it possible for them to move almost silently. Each claw can be up to 4 inches long. There are 4 claws on each paw and then a dewclaw that is further back. It doesn’t touch the ground when a tiger walks. The dewclaw also helps them to grasp such as how humans use their thumbs. The claws can be retracted when they aren’t needed. There are some very interesting hybrid tigers out there too worth mentioning. This first took place in the 19th Century in zoo settings or circus settings for financial gain to attract visitors. The two most common hybrids are known as Ligers and Tigons. This involves lions breeding with tigers. A Liger has a lion father and a mother tiger. A tigon has a tiger father and a lion mother. 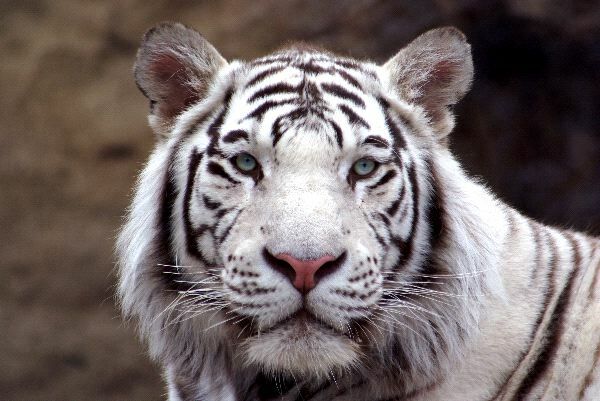 There are also some color variations that may occur such as white tigers. This is very rare to occur in the wild but it has been noted to occur. They tend to not live long in the wild as they can’t blend in well to their surroundings. They are also more likely to have birth defects. Most of the time it is the result of breeding in a zoo setting and these white tigers are very popular with visitors. The problem though is that the white color is the result of a recessive gene which means inbreeding is likely to occur with such practices to produce more of them. There are also golden tigers that are also the result of a recessive gene. They have a coat that is light gold in color and orange stripes that are very light colored. 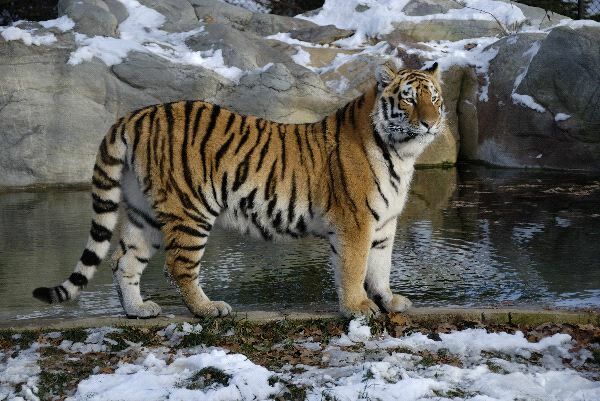 They also have a coat that is thicker than normal for a tiger. When they are bred in captivity with a White Tiger, they can produce white offspring without any stripes. Today, practices for hybrids are widely discouraged as they reduce the ability to preserve the various species. However, it is believed such efforts still take place at specialty locations and the zoos in China.